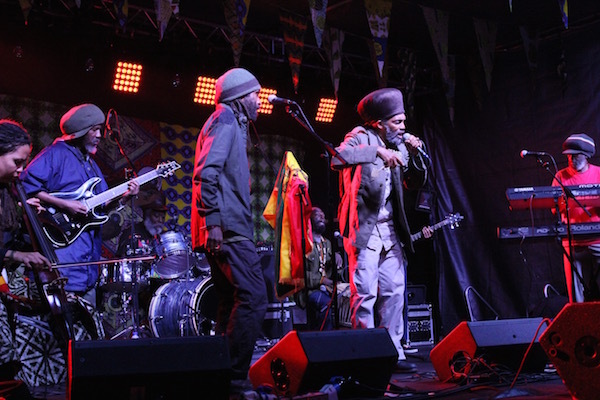 Sunshine, love, and reggae is what brings us to the One Love Festival, and like its other years, 2015 was to be no different. Located in the small, but beautiful town of Tewkesbury, Gloucestershire, after unfortunately having to be relocated due the worries of plane crashes at its formerly-planned airfield site in Hamphshire, this years One Love was to be the pinnacle in its 8 year running; boasting the likes Etana, Third World, Mykal Rose, Randy Valentine and many other considerable artists. Set in a ‘Waterpark’, One Love this year gave you some of the most magnificent views throughout the day, with the main camping area backing on to a lake. So yes, while the wintry weather at night was absolutely numbing at night, waking up every morning to what was like a picture painted by JMW Turner, was well, and truly worth it. The campsite was also extremely close to the festival entrance, so unlike Reading, Glasto, or any other big festival, you still had the energy to set up your tent, after finding somewhere suitable. Additionally, the campsite toilets were more-than adequate, being constantly cleaned, and just respected. Like prior to its previous, this year One Love had a wide range of food stalls, from your Italian pizzas and Thai cuisines, to your Spanish doughnuts (Churros) and Jamaican curries, and being at such low prices, well, I’m sure I’m not the only one returning with a few extra inches. 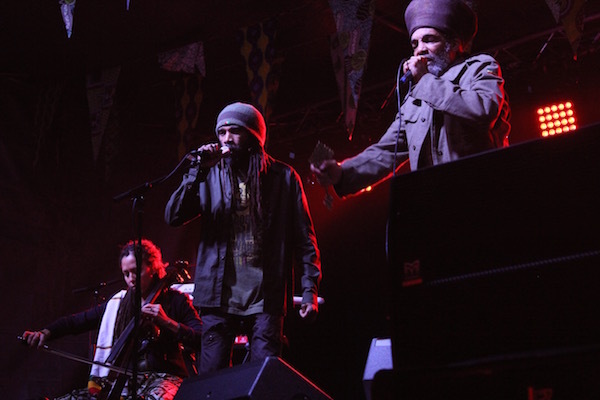 There was two live music stages this year, with the main stage being fully kitted out with numerous lights, and clear, quality sound, followed by three big-tops all playing a variety of reggae and dub music, so at one moment, you could be singing along to Bob Marley’s ‘One Love’, and five minutes later, you would be skanking to General Levy’s ‘Jungle Is Massive’. The Dubshack hosted its ‘Battle of the Dubplates’, but with this one being a three day battle, as an oppose to last years one day battle, playing massive, and well-loved tunes, backed up by vocals from Dawn Penn. To everyones misery, the advertised line-up was not followed, with some of the major artists not turning up; Mykal Rose, Etana, and Michael Prophet, all meant to be headlining the main stage. This had an impact on everyones moods, with some people going as far as packing up and leaving there and then, but the weekend was far from ruined, with some favourable artists, such as Don Campbell, Iqulah, and Twinkle Brothers, putting on outstanding performances. The night ended with a bang as Third World’s closing set on Sunday night, had the crowd all singing along, getting together, and being alright. Heres to next year. Peace.